The following text was published in “Sfika”, the journal published by SKYA, in June 2015. Even though many things have happened since, we consider that the text still has an analytical and practical value. 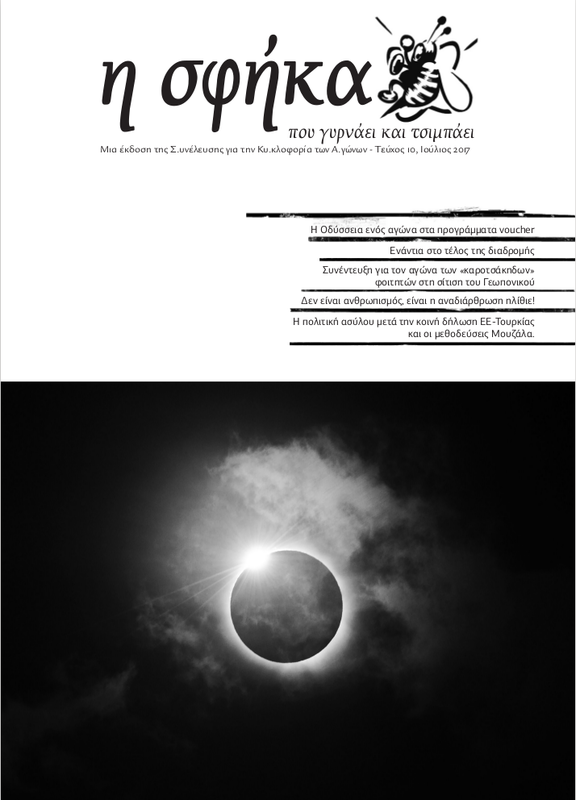 One of our main concerns in writing it was to show that in contrast with what SYRIZA declares, the present crisis is deep and it concerns the totality of the capitalist relations. We were also concerned with examining (I) the conditions that led to a SYRIZA-ANEL government, (II) the social needs which the electoral body expressed by this result and the relation of this new (at the time) government with the state mechanism. Our goal was to explore the possibilities of action in the newly created political environment. Download the pdf. After a period of deep crisis and subordination of the greek state formation to the “memorandum” austerity program, the expectations for “abolishment of the memorandums”, “justice” and “exit from the crisis” served as the grounds for the change of government. A question rose, regarding what exactly SYRIZA is and where that the really want. From the beginning there were opinions that judged SYRIZA based on its declarations and rhetoric. These opinions talked about a “rightwing turn” etc. Others, saw this government as simply the continuation of the previous ones. Our opinion is that there is no point in basing a critique on the announcements of some politician or other. A large part of SYRIZA voters already expected that this government would take back many of its promises, but they still hoped that at least a third of them would be realized. What we consider really important is to judge the situation based on its real dimensions. Thus, by taking note of the greek capitalism’s condition. Even more important for us is to connect the election results with the cycle of struggles that preceded it in order to make the connection with the contents, the dynamic and the limits of these struggles. The elections that brought the SYRIZA-ANEL cooperation into government were announced on the 25th of January, mid-ways through the four-year stint of the last (right-wing) government. They were carried out in a deeply polarized climate, which in a way reflected the polarization of class conflict during the last years. In the period after 2012, every part of the working class was retreating in isolation. Mass demonstrations dwindled. Disillusionment was wide-spread among people who had waged struggles against austerity, hit by the grim realization that they were unable to block the attack of the bosses. SYRIZA promoted itself as the party which would “stop the crisis” and “heal the greek state mechanism”. Why did this work? Why turning to the same old devalued political system seemed as the “only solution to combat the crisis” while before some time that same system seemed unable to maintain social peace? In order to give a first answer, we have to return briefly to the struggles between 2010 and 2012 and those which continued to be given until 2014. From a point of view which never sees the outcome as a foreseeable given, but more as a historical procedure constantly developing, all the struggles given in the period in question didn’t have as a goal to create a “parliamentary type opposition”. The broader cycle of struggles of the previous period – from the student movement of 2006-2007 and December 2008 until the squares with the momentum of 12th February 2012 failed in its explicit goal: to block capitalist restructuring. This failure was not only the outcome of repression or the persistence of the previous governments, but the result of a series of objective limits and subjective problems which the struggles and their organizational forms never managed to overcome. We have talked about these problems, together with other pragmatic limits, such as the strikes being controlled by the bureaucratic syndicates, the different conditions of work in the private and the public sector, class fragmentation, etc. in our critique of “big night” rhetorics. The “big night” ideology expects an insurrectional moment which would magically put an end to the crisis. We think that this ideology reproduces the idea of a parliamentary solution or anyway a solution at the higher level of politics, instead of connecting our struggles on the ground, in a dialectical relationship between central and partial. In a way, disputes and conflicts within the movement allowed the content of our struggles to be turned into apologies for a statist solution. Thus, the slogan “burn the parliament” and direct democracy declarations progressively transmutated to the “vote for an anti-memorandum party”. The reason why all these struggles failed was that they never managed to provide for the concrete needs of those from below. They never managed to break the divisions within our class and stop the cannibalistic antagonism inside it. They failed because they didn’t manage to connect in an autonomous way on the ground of common class interests and gain some victories which would impose the growing unity of the class and the blocking of the capitalist restructuring. To the extent that these struggles didn’t manage to cover the real needs of those participating or to put forward a crystal-clear set of demands against the devaluation of work and the everyday life of those from below, there was inside them the tendency for a “return to the state”. This tendency became stronger because of the inadequacy of the most radical parts of the movement to form a concrete plan on the basis of needs for the everyday survival of the exploited in the crisis and the overcoming of this crisis. The tendency to which we refer reproduced the common illusion that the change of a government can block restructuring. SYRIZA appeared as the party which would be able to play this role, promising to every direction that it would legislatively abolish the memorandum right after its election. Even though the austerity politics of the previous governing parties (ND and PASOK) managed to devalue labour power, they failed to achieve widespread social consent and social support for the application of the reforms. Thus they were unable to put the economy “on the tracks” for capitalist development. This deepened the legitimacy crisis of those parties and brought the political system to the deepest destabilization of the last decades. Through austerity politics, the political system violently demolished the forms of social consent that it had created in the previous decades, and together with what we have described as an “emergency state” it annulled established representational strategies of different social class interests that it had mediated in the past. This fact meant that not only it refused to channel social conflicts, but it also retreated from the institutional organization of these conflicts: for example the bureaucratic and boss-friendly syndicalism where ND and PASOK traditionally dominated, declined to organize precarious workers and unemployed/workfare applicants. This void served as a window of opportunity for SYRIZA, who tried to take advantage of the situation. Most of the times SYRIZA failed to organize struggles effectively – or it was anyway unable to do so on a large scale since it had no presence in different work sectors or grassroots movements in neighbourhoods, for example. On the contrary, it transferred any struggles it could mediate to a ground useful for its reproduction as a party. It consistently avoided confrontational aspects of the struggles and instead used the media to appear as the official representative of any struggles it could control. This showed more clearly after the closure of the state television company (ERT). 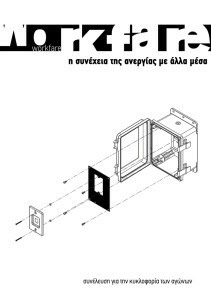 During the weeks that followed, SYRIZA representatives consistently accused the government of an “anti-democratic” closure and focused on the “quality” of the radio and TV program of ERT, in comparison with the private TV channels. This way it buried all the attempts of the workers to promote their class interests and all attempts of meeting with those in solidarity. At the same time, it promised the workers their jobs back after it came in power. Where on the other hand it had the possibility to organize struggles, as for example the teacher strike of 2012, it chose to sabotage them with the excuse that “the base is not ready” and to state that their situation could change only through elections. On a central political level, SYRIZA brought many different categories of workers together through the syndicalist bureaucracy, on the basis of the already existing divisions between them and it turned -when it had the possibility- the discussion not on how to change the relations of power in the workplaces, but on how to re-establish parliamentary mediation. In this way, it promised to different social categories in struggles the satisfaction of their demands on the central political level, restoring this way not only the party logic of “let the others do it for you” but also a corruptive logic of “small favours” to strengthen the political system. In this sense, it tried to turn the struggles into a stabilizing factor for the political system, by attaching them to parliamentarism. This doesn’t mean that this stance towards struggles was compact or linear from beforehand, but that it was rather formed throughout internal processes and disagreements. In any case, it was the perspective of governing the country that led the different interests and social relations inside SYRIZA towards the form of a person-centered party with the characteristics it took from the summer of 2013 onwards. On the level of communications it chose a contradictory inter-class discourse. The interests of the small bosses would not be touched, the lower salaries would go back to previous levels, the country would stay in the eurozone while the memorandum would be “shredded” with just a couple of laws, and of course money would be given away to overcome the “humanitarian crisis” and to create economical growth while being totally ok with the obligations towards the creditors etc. In other words, SYRIZA was promising to balance the class conflict through a re-establishment of the processes of negotiation with the “social-partners” that were damaged in the previous years-. SYRIZA took on a double task. First, to mediate the changed social and class composition which was not represented from traditional parties: the unemployed, the precarious, poorly paid workers of the private sector who because of their relation to work had become invisible for official syndicates and had been pushed to the margins of the traditional clientelist networks. Second, it took up the task to repair the electoral relation of big parts of the greek society with this clientelist system (parts of the society which traditionally looked towards PASOK and ND). Such social categories are the public sector workers or those with low pensions. What transformed SYRIZA to a leading party in the elections was something else. To understand it we have to look carefully to the voting patterns for SYRIZA. Under the ideological surface of “national unity and concord”, there is a whole gamut of opposing class interests and social relationships that made Syriza a prime contender in the last elections. Syriza’s stellar trajectory from a small leftist party to the helm of the Greek state has been a favourite puzzle for analysts and researchers, both in Greece and worldwide. But how can we examine the electoral behavior of specific social classes as if they were opaque categories of the constituency, as most experts do, without reproducing stereotypes and simplifications about “Greek society” and its relationships to the electoral system? Particularly within the fluid environment of the economic crisis, that has unsettled deeply rooted political behaviours of the past decades, has dissolved large professional groups, has increased social mobility and in-fighting at the midst of social classes and has finally acquired the characteristics of all-out war that profoundly transformed “traditional” electoral behaviours. What does it mean, for example, that old-age pensioners voted Syriza en masse in the 2015 elections? What was their relationship with the electoral process? Who can be included in this particular social category, when in a few years the number of pensioners has markedly increased and their social background changed profoundly with the enforced early retirement schemes in the public and private sector? Working people not yet in pensionable age chose to receive a pension as a guaranteed, albeit reduced, source of income, in the face of an ever increasingly insecure job market. This automatically changes the demographics and social characteristics of a social category that has always been perceived as favouring more conservative electoral options. So let us keep in mind that what we are trying to describe here is in constant flux and transformation within the economic crisis, even as we speak. In these elections (January 2015) the party of Syriza was depended upon on the vote of the unemployed and low-paid workers of the private sector who viewed within a few their salaries become much lower, increased taxes, and that they had to live under the continuing terror of being fired. At the same time Syriza was depended by the vote of small bosses, who were also violently devalued by the crisis and saw the shops or their craft industries closing and were forced to self-employment, the black wage labor and unemployment. On the other hand, Syriza was voted by a rate of about 44.6% of employees of the public sector, increasing the percentage of votes at 11.4% compared to 2012. This increase in the presentage of votes by the employees of the public sector has something to do with the threat of dismissal, the cuts in wages, pensions etc. Also there is a connection with the loss of influence by PASOK in these social categories (at least the piece of PASOK who didn’t go to Syriza). Let us not forget that public workers are those who traditionally base their hopes on the current government, as opposed to those of the private sector that don’t care as much for such things. These particular, however, categories of workers and unemployed people who voted Syriza had done the same also in the elections of 2012. In contrast, those who hiked the percentages up in the last elections were the traditional categories of farmers, self-employed and petty bourgeois. If we look at the pro Syriza vote in rural areas, we can see a rapid increase: It went at 37.5% with an increase of 15.3% from 2012. Here again we can recognise the dissolution of PASOK from the one hand, but also the expectations for a some kind of protectionism of agricultural products. As for the self-employed (+ 12.7% of them together with the small-scale producers) and the small bosses who voted Syriza, they certainly hope for some reduction in taxation. and in a certain stimulation of the internal market. Certainly further analysis can be carried out in identifying other social groups that supported SYRIZA. Nevertheless, we should highlight that SYRIZA could not have come to power unless it had the support of those parts of the bourgeoisie who at all costs wanted Greece to remain a member of the Eurozone. SYRIZA reassured such groups prior to the elections and presented itself as a party of capitalistic reform and progressive change. This was in contrast to some lobbies, like the pharmaceuticals companies, who were negatively impacted by the implemented memorandum policies. In regards to the geography of vote SYRIZA was supported by provinces which traditionally took a “progressive” vote. However, the fact that SYRIZA’s rhetorics changed according to the electoral audience should not be overlooked: public speaking during the campaign was highly adjusted to include more nationalistic elements in front of conservative audiences, by comparison with urban areas where a class analysis focus prevailed. Furthermore, we have to take into account those voters who remained undecided, or even opposed SYRIZA, but finally voted in favour of the one that qualified as the “winner”. Therefore, we consider the vote for SYRIZA to be “class-oriented”, “patriotic” and “populist” at the same time. It is evident that the interests of the aforementioned social groups are enormously conflicting and contradictory to the policies that SYRIZA has to follow. For instance, farmers have an interest in some levels of protectionism, which is opposed to the EU policy in which SYRIZA binds itself. 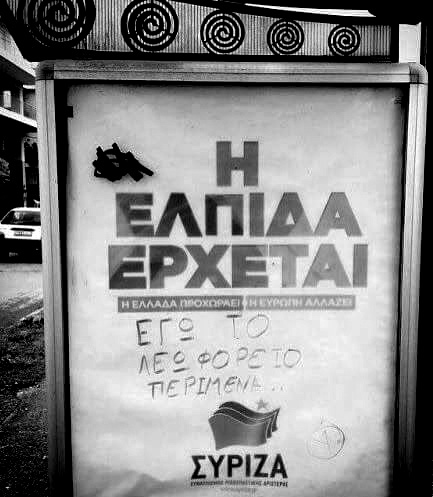 Looking back at the campaign’s slogans and the so-called “Thessaloniki Programme” which presented SYRIZA’s ideological profile, we realize that a promise to “satisfy everyone” was made. Prior to the election process SYRIZA represented mostly public sector employees and freelancers; such are its members and party officials. In order to have a chance in winning the elections though, it needed the support of the middle class and small bosses upon which ND and PASOK relied previously. This refers to social strata without clear, common interests, which are always reluctant to embrace significant reforms of the state apparatus and typically use clientelist relationships to gain personal benefits. As regards its public discourse, SYRIZA argued for a “capitalism for all” scenario and managed to render doomsday ones irrelevant. Subsequently, SYRIZA inherited expectations of ex-PASOK voters and appropriated a fraction of the latter’s (deteriorating) clientelist mechanism. Importantly, while the percentage of employees that voted SYRIZA wasn’t insignificant, among the interclass alliance who elected it dominant petty-bourgeoisie and nationalistic anti-austerity rhetorics prevailed. Voting for SYRIZA was a medium-risk assessment in a way: people wanted to explore what else can be done within the context of the EU, i.e. they did not undertake the risk of a Grexit. Even if SYRIZA attempted to balance during its campaign on a contradictory electoral base, its objective now is to implement core parts of the neoliberal agenda in order to remain in power against undermining efforts at home and abroad. The interests that SYRIZA represents in the local economy are not in conflict with the state of play in Europe and beyond. As a party that wishes to prolong its stay in power, it has to incorporate the remnants of the state mediation mechanisms (established by PASOK) and put effort in re-establishing them. As such, calling SYRIZA “social democratic” is paradoxical, since either drawing from the historical paradigm of social democracy, or the “social democratic” governmental style of PASOK in its early years, SYRIZA should have pursued the rupture with current EU policies. However, as we will describe below, while the re-establishment of state mediation could be considered a “social democratic characteristic”, the so-called “humanitarian measures” are not at all incompatible with neoliberalism. State politics are formed by many factors. It is not possible for a government “to take” the state and do (or say) whatever it wants. We should neither forget the bureaucracy that staffs state services, nor the “deep state” that persists through changes in government cabinets. Any change made by the government following elections, does not change the social relations amongst people staffing the core of state mechanism and representing often conflicting interests. As acknowledged by the current Minister for Justice before elections, with the change of government “the functional mechanism, the so-called deep state, will – rightly – stay in place” exactly because “change in politics anticipates the change of modular social structures”. The army, police, church, several bureaucratic pieces, organized crime, capital associations etc., all have their internal hierarchies and they all claim their piece of the state pie. This is well known to anyone intending to govern. Moreover, state politics is a matter of international affairs, and we should thus look upon some of these factors, local as well as international, in relation to the current situation. EU does not follow a single set of politics, nor uniform interests, as it would like to appear. Those parts that would like to have a uniform policy, have a difficult work to do, and this is shown by the rise of “Euroscepticism”. Those parts therefore need a scenario in which Europe can and needs to stay “united through a common course”: economic-, military- and politics-wise (things that are inseparable anyways). It is not only EU, however, inside Europe, that is seeking stability. The same is done, on the inside of any capitalist state, in order for it to cope with the economic crisis, but also because of the unstable geopolitical situation. Everyone is looking for justifiable alliances and wants to appear warily inwards and outwards. The chances of serious class unrest must be minimized. It is within this context that the SYRIZA-ANEL coalition is trying to maneuver. The promises made by the government, to so many different fronts, are not restricted to the national level. The game is played on many levels. Attachment to the Euro from SYRIZA, Euroscepticism from ANEL. Confirmations toward Europe on the one hand, and simultaneously, openings towards USA and Russia, a reminder of Greece’s geopolitical position, as a negotiation paper etc. At the same time, what is important to us and concerns us directly, is the fact that SYRIZA and ANEL are undertaking the stabilization of state mediation mechanisms that were in crisis during the recent years. Those mechanisms constitute very useful tools in the hands of the bosses for many different reasons: to defuse social struggles, to manage the crisis with widespread social consensus, to achieve a class cohesion that is visible both inwards and outwards. This cohesion will act as weapon for social war on the one hand and on the other as a challenge for future investments. Another issue arising is the fact that EU requirements for the modernization of the state collide with a part of Greek society on which Greek governments have been relying for many years, in order to get elected. This part refers to the middle strata that compose a mixture of conflicting interests and that systematically react to any possible restructuring of the state if they perceive it as threatening for their small businesses. Now, let’s backtrack a bit, to take a look on how SYRIZA handled the prospect of governing, always given that it would have to confront vested interests within the state. When SYRIZA saw that winning the elections was possible, it started preparing for the role of a governing party that intends to stay in power. This process began more systematically, after the 2012 elections. Firstly, it reassured the Church, the biggest landowner in Greece, with established relationships with a shadow economy, that it would not interfere with its business. Then, it knew that it would have to embrace some of PASOK’s parts, especially in sectors that it had no executives of its own, aiming towards taking advantage of the relations that those people maintained with the deep state and the clientele mechanisms. Furthermore, it started developing a process of building cooperation with ANEL, not only for reasons of forming a government, but also because ANEL is a party that seems to have experience in matters of the deep state and the military. During the beginning of the government term in office, some “reasonable choices” were made, as to assign a technocrat coming from DIMAR (Panousis) as head of police, and at the same time, a nationalist head of the army. SYRIZA has made some preparatory moves, it has however a number of problems to manage, in relation to the state apparatus – with the core of the state itself – and those are the problems that it is starting to deal with, in a certain way. What do we mean with the term “problems”? Although SYRIZA has a number of technocrats on the inside, it lacks relations in key sectors of the state and para-state, but also within the capital compounds. It lacks in experience in real-time management of conflicting interests within the above-mentioned configurations, ie members with organizational experience and technical training in managing state operations. Indicative of this is the fact that in some ministries the newly-elected ministers initially took office, taking with them only a couple of counselors, leaving in place the rest of the mechanism. It lacks entrenched relationships in local government, as confirmed by the contradicting polling rates of previous local elections. Very important, is the fact that SYRIZA, as mentioned, doesn’t have the ability to set up from zero a client mechanism that would stabilize it. It has taken up some relationships from PASOK, but PASOK’s client mechanism is falling apart. Furthermore, it has been elected with the support of a part of the local bourgeoisie (e.g. look at the announcements of the Union of Greek Industrialists before the elections) and its debts to this part are many. To recap, SYRIZA needs to manage the European demands on which Greece’s stay in the eurozone and the EU “injections” of financial support for debt repayment and ‘development’ both depend. It needs to manage the demands of middle classes and of that part of big capital that supported it, all at the same time. It needs to create those relationships that will keep it in power, inside the deep state, the compounds of the capital and the broad social layers. The coalition government chose to manage those problems, by trying to ‘bid its time’ in and out of the country, and by turning -as much as possible- the media attention to “tackling the humanitarian crisis”. During the last period, we have witnessed an absurd charade with statements and counter statements, with “more and more critical” meetings, and with SYRIZA criticizing itself through e.g. its party youth, while being in government. All these however, are not merely media tricks, but also express conflicting interests and existent tensions within the government. We saw SYRIZA syndicates, staffed by PASKE (the Socialist PASOK party union reps) appear overnight (eg. in the transport sector). We have also seen the implementation of the “Thessaloniki program” postponed for an ever receding time in the future, until an agreement with the creditors is reached. However, the governing coalition can only partially implement redistributive measures, partly because it is hard-pressed by the lenders, and because – at least in higher government staff – a critique towards the populist politics of allowances that constructed PASOK’s middle-class, is taking place. Typical of this is the fact that the humanitarian crisis (or the “intention to find another way out of the crisis”) is placed at the forefront, even since the declaration of Thessaloniki. It thus appears as state logic, at least as a temporary program until the state is cleaned up (reconstructed) and the state-capital relations inside the new condition are settled. However, the state of emergency is ongoing. Although it may not be obvious in terms of police or military presence in the streets, it is obvious on the parliamentary/constitutional level. For example, we can observe this in the use of legislative acts, or in the way the state took the savings of municipalities in order to finance repaying its public debt. So government is legitimized to pass legislation as previous governments did, under the disguise of the “humanitarian crisis”. Obviously there are some differences from the previous status quo. Nevertheless, the government abandoned step by step the most points its campaign program (the main explanation of why the lower classes vote for SYRIZA) because of the state of emergency in the economic sector, that is enhanced by the pressure of creditors. 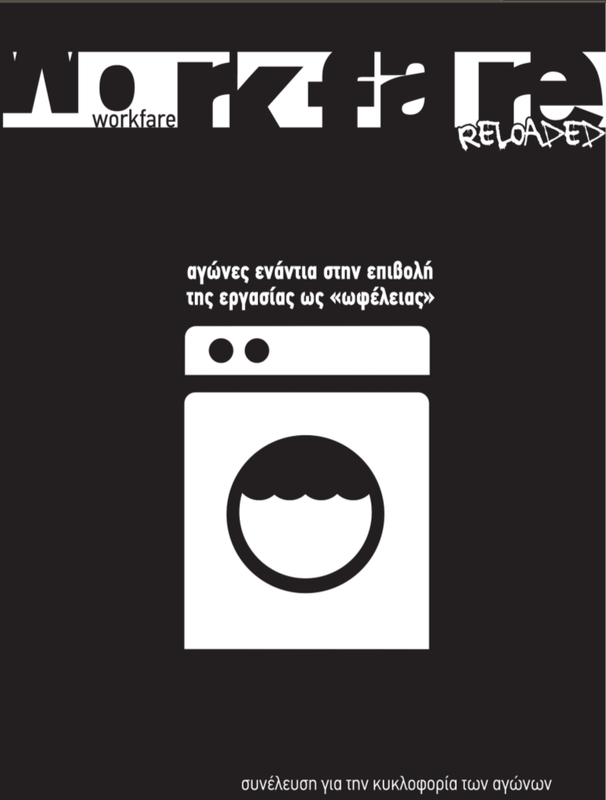 At the same time, SYRIZA abandoned all the previous “red lines” of his politics as well, and the politics of the management of unemployment via workfare programs is still going on. Before the elections, SYRIZA criticized the anti-labor character of these programs and promised their time expansion under labor law, ensuring full labor rights. Now the government has forgotten all that and claims that the major question is the “helping the unemployed find work”. This state of emergency during the SYRIZA administration masquerades itself as a “humanitarian problem”. The analysis that claims that this is just going back on their promises can’t understand the transition of government from a crisis-state to a plan-state. By that we mean a state with a more rational administration and a capitalism with new a type of regulations. Regarding the “humanitarian crisis”, it is linked with the new class relations in the new situation shaped with SYRIZA in power. The government is obliged to make a deal with private capital in order to advance the privatization of public services, although some members of SYRIZA seem to object to this idea. Some governmental actions (for example the re-opening of public tv station, or the changes in the administration of universities) seem to enhance the role of state as collective capital. Nevertheless, it is obvious that they cannot go further in this direction. For this reason, it is important to comprehend state politics and the relationships between SYRIZA and non-governmental institutions. In other words, we have to search where they’ve spent their time, their organizational intelligence and their energy before they came to power. Not only the cabinet and the upper part of the SYRIZA hierarchy, but also the middle and lower party personnel. A big part of this personnel involves in non-governmental organizations (NGOs), institution or companies with a more “social” character, one way or another. Actually, they are not interested in what work relations prevail in such organizations. In other words: Syriza’s administration experience is a product of this experience during the participation of its members in such organizations, many of them supposed to promote development in an environment of humanitarian crisis. So it is important to scrutinize the program for the response to the so-called humanitarian crisis as a multi-level state logic. At first a level of control and repression ( “humanitarian crisis as state of emergency”), secondly a practical level (“humanitarian crisis as process of implementation of a new state intervention”). Additionally, a level of restructuring work relations (more flexible employment for the “common good”) and a model of influx of funds (for humanitarian and cultural investments). Finally, we should not forget that dealing with the humanitarian crisis is the only common ground between the government and the creditors, because even neoliberalism accepts the need for a security net for the “poor”, on condition that this net would reproduce the capitalist order that created the humanitarian crisis. In the period from the victory of SYRIZA until now, we could perceive some important moments as telling of its political choices. One of them was the 20th of February. Then, the government recognize its duties towards the creditors despite its ambivalent rhetoric. The other one was in the middle of June, when the content of the new agreement with the creditors became clearly visible. 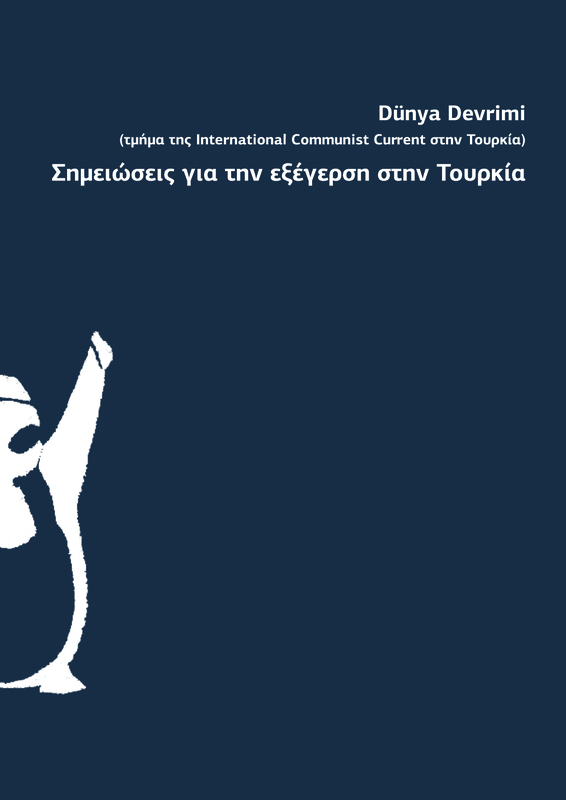 The rise of syriza in power and the overall recession of struggles in last period brings back in the foreground issues of modes of intervention and generally, organizational issues, tactics and strategy of the antagonistic movement. We believe that in order to be able to approach these matters we have to go back to the shortcomings, problems and defeats of struggles of the previous period and to confront with the logics which hold them from moving forward. If we commence from such a point, we do this precisely because we believe there can be no meaningful discussion for the building of an antagonistic strategy that responds to the needs of our class far from the analysis of the experience of these struggles, far from the analysis of the forms and contents of our actions. But also it confronts us with an established practice, taking either the form of the guidance of the party or the logic of the vanguard of political groups seeking to impose political contents, objectives and guidelines from the outside, in contrast and comparison with the experience of these struggles. Each series of failures or victories of a cycle of struggle opens prospects -with the meaning not only the possibilities, but also the action-limits to be tested to get an understanding of the issues to overcome the problems and their effects in the present, requiring political interpretation for polishing where are we heading, for building targets within the given conditions. As we have already mentioned, the cycle of struggles against devaluation has been defeated in this phase, in the sense that it failed to block the capitalist restructuring and to recompose our class in antagonistic and radical terms. This does not mean that there are not struggles taking place now, or that these struggles can no longer be victorious. Discussing the defeat of the current cycle of struggle, we are trying actually to look into their limits. What were the characteristics that prevented the struggles from going even further and where do we identify the possibilities of overcoming these limits? Such limits for us were the expectation of blocking the restructuring through the central political scene (what we encode as «logic of the great night«), the (often in advance) attachment of a portion of the struggles, mainly of public sector, in the left government before even elected, the dominance of anti-memorandum rhetoric as a camouflaged confirmation of national unity, the absence of immediate material outcomes of struggles for large parts of the exploited, the weakness of horizontal processes to ensure massive participation of people on a permanent basis and the inability to connect the struggles in a common antagonistic direction. If we see these limits in relation to the election of Syriza, we find that this is more a result of the partiality of the cycle of struggle against devaluation, ie an expression of its power and its limitations. The power that the struggling people had in the streets and the inability to go beyond their limits. At first, the government caused an initial bewilderment within the political scene. This bewilderment, hiding behind the strategic weaknesses and the failure to structure a antagonistic political program, tried to be covered by a part of the political scene with the utilization of pure activist actions that considered the setting of targets and demands as “reformist”, claiming through their action the «all or nothing», or by making requests on the base of pre-election promises of the Thessaloniki program of Syriza. The debate whether struggles need to have demands or not entered again on the agenda of the movement bringing back the issue of «cooption» by a left-wing government. Here, two important questions arise, the cooption by the state and if the struggles need to have claims and demands. The perception of the latter as an expression of the former is a heavy burden of tradition of the anti-authoritarian milieu, a large part of which has always considered that struggle demands require and result in cooptation. For us, this mystification, deliberately or not, perceives cooption (as well as struggles themselves) in ideological rather than political terms. It avoids the reading of historical processes and the specific political contents that make the struggles be reformist, regardless of what their participants think or proclaim. In short, a struggle cannot be characterized as radical (or not) by whether it has demands, but by its political content, the relations that are created among the exploited or the –stated or unstated- political goals. Since the formation of the coalition government and after that, we see three key directions that the mobilizations have followed. First, the open support of the Syriza-ANEL coalition, with gatherings in front of the parliament. Second, the pressure on Syriza to implement his pre-election commitments, both at home and abroad, taking «anti-imperialist» features. Thirdly, the abstract ideological conviction of the Left (and any other) government from the standpoint of anti-statism / antiparliamentalism, usually with an insurrectionary atittude or with the addition of universal revolutionary objectives. The first version is more in line with the government rather than the opposition to it. The second and third seem to be the two main guiding lines of opposition by the movements, including trends of both the Left and the anti-authoritarians. We see that some parts of the movements act as deceived voters who had really believed in the political program of Syriza, and others act as if nothing has occurred, no policy change which put in front of us matters of analysis and strategy. In our opinion, the latter two versions are different sides of the same coin, which will try to analyze below. The coalition government has so far responded mainly not with the usual practice of direct repression and brute force, but with tolerance with a view to the social isolation of movements and then with their suppression, as seen in the example of the recent violation of the university asylum of the occupied Rector building. As we write above, Syriza seeks to continue the policy of capitalist restructuring, no longer with the emergency conditions of ND-PASOK but in terms of broader social-electoral consensus. They try to make the first steps of the state-crisis restructuring to the plan-state of the new social/class setting. In this arrangement, the government requires and bets on the legitimacy that derives from the previous cycle of struggles, but also on its organized political forms (ie the Left and the Anarchist milieu). In short, Syriza seems relatively willing to make some institutional concessions and give space to the Left, only if the core of capitalist restructuring is not disputed. This of course is not a small thing, considering how much social and political ground was lost on the side of the movement in the previous state management over the last three years, from the crushing of the collective morale and the militant mood in the street to the weakening of political structures and the evacuation of occupied spaces. That is precisely the discreet but very real charm of the «government of the left» for a large part of the movement, even if not publicly acknowledged. And here is what we believe links the two trends described above. As both include organized political forms and not spontaneous forms of class mobilization, they are actually claiming from Syriza to recognize them (and partly to legitimize them) as political players and part of the new social-class setting. 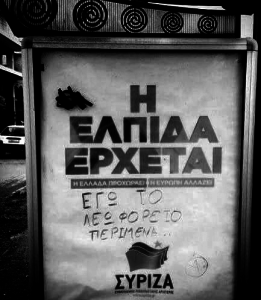 This touches a range of phenomena, from the revival of street fights in Exarchia up to the call to rupture with the lenders, and the «do not ask anything from the government of the left» to the criticism that it is not «leftist» enough. No matter what, the content of these reasons and practices ends up as a “politically-corporatist” demand by political milieus, forms and parties that try to regain their lost ground. In a way, their attitude aims to their reproducing as truncated forms of the Class and not in connection with or part of Class. In short, seeing the challenge of social struggle to an exclusively central political level, a part of the movement ends up running, consciously or not, in the current socio-historical context as an informal extraparliamentary (or antiparliamentary) tendency of Syriza. We do not support here that this is an essential intention of the movement (although there are parts that have open communication channels with small, medium and large executives of Syriza), but that constitutes a rather collective failure of analysis and strategy planning, an inability to find as an antagonistic movement what will make us truly dangerous for the «left» capitalist management. Syriza was in a given way near several struggles attempting to incorporate them. Its approach is still ongoing on specific struggles or procedures (eg National Television Broadcast, cleaners’ strike, solidarity structures), but it gradually becomes apparent that, as the crisis deepens and the restructuring policy is continued, the incorporation will rather fell short. We are not interested, however, in seeing the incorporation from an abstract ideological starting point (whether our political discourse is «revolutionary» or «reformist»), but from the perspective of the struggles that serve our interests and our desires as exploited and oppressed subjects. Similarly, we are trying to judge the social and political subjects not (only) from what they say, but (mainly) from what they do. A politically-corporatist conception of struggles, constituting a form of a party-vanguardism logic, can essentially be incorporated in the central political scene, even if it claims for itself the most radical stand, if it fails to clash with the core of the capitalist restructuring, namely the devaluation of life on an everyday level. In contrast with this perception then, we support the struggles that are given for the whole class of the exploited -struggles whose positive outcome will bring us to a better position against barbarism. We are talking about struggles that claim a universal content in action, as opposed to the universal content of the stereotypical impeaching discourse. Such struggles are still given in various social fields, by lay-offs and claiming lost salaries in the private sector (as in the AB Vassilopoulos supermarket, the Everest chain-stores etc. ), the constant mobilizations against the abolition of the Sunday holiday in the private sector and struggles in work precarity (such as community service work and vouchers), to the immigrant community and local struggles and the protests against the detention centers. The extent to which they manage to achieve broader outcomes, beyond those involved in each struggle, depends on the very systematic and painstaking process of grassroots organization, on connecting different struggles and circulating different contents and forms of action based on building unity of each individual community of struggle with the rest of exploited. Despite their limits and contradictions, these struggles -whether «small» or «large», with demands or not – are able to cover our immediate needs and contribute to developing an antagonistic strategy for the movement. We attach great importance to what others underestimate as «partial» struggles with «small» victories, because by setting immediate goals and winning practical matters, we rediscover our strength in the grounds of social antagonism, linking with wider parts of the Class and creating examples of autonomous organization and struggles from below so that we win back our lost collective confidence. From this perspective we work also, with our minor forces, for autonomy, efficiency and linking these struggles. We consider that the cycle of struggles of the previous period has left behind some collectives in social areas (neighborhoods, universities, workplaces) that are either underperforming and are lethargic or are ideologically entrenched. If we want to be in a better position in the struggles to come, then we need to create new communities of struggle that have learned from the mistakes and limitations of the past cycle of struggles or to support those existing collectives that have a steady orientation to the struggles and help transform their social relations so as to be able to transform themselves into antagonistic communities. This does not mean that they have to be separated political forms with radical disguise, but real communities of struggle -tools for the recomposition of our fragmented class towards an antagonistic direction.